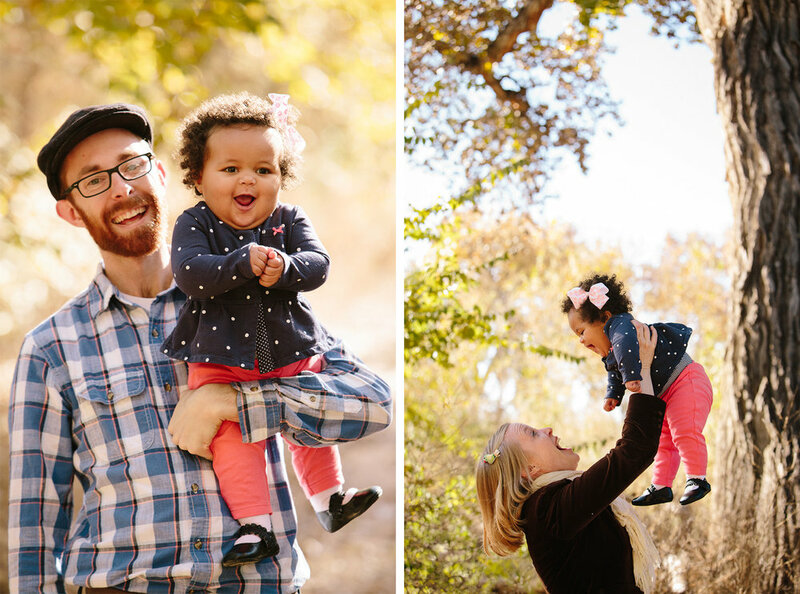 I was thrilled to photograph the beautiful Porter family for their first official family portrait. They asked if they could also bring their dog Dottie along, as she is part of the family as well. We took a walk along the Bosque to catch the remaining fall colors. Between the falling leaves entertaining their daughter and the space to dash about for Dottie, it was a fun time for all!